Tamang Heritage Trek is a unique and moderate trek to the North of Kathmandu Valley. It is newly adopted and off-beaten-track to the wonderful empire of Tamang Community, between Langtang range and Ganesh Himal. This trek has a prime path of exploring the tradition and culture of Tamang community. This trek was initiated by “Tourism for Rural Poverty Alleviation Program.” Tamang Heritage Trek is easily accessible and new trekking route of Nepal. This trek will let you closely glance and experience the lifestyle of Tamang people, and get mesmerized by it. If you want to add taste to your traveling recipe, then Tamang Heritage Trek awaits your ingress. The culturally rich Tamang heritage Trek will captivate you with the warmest hospitality of Tamang tradition and rituals. Their houses adorned with beautiful woodcarving, and local architecture will add more excitement to you. The cultural program generally organized in the evening is another attraction of this trek. Tamang people have managed home-stay for your pleasant and wonderful stay in the village. The local food will be a different taste for you. The local forts and monasteries are eye-catching. 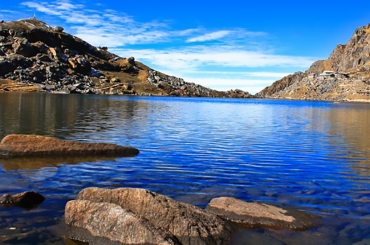 The trekking trails also propose you a lovely panoramic view of Himalayas nearby. When exhausted due to continuous trekking, the Natural Hot spring at Tatopani will neutralize tiredness and add refreshment to you. A memorable part of this trek will be an expedition of the historical place at Rasuwagadhi. This trek will be a lifetime experience. The close look at the culture of Tamang ethnicity will be a fantastic experience to cherish whole life.